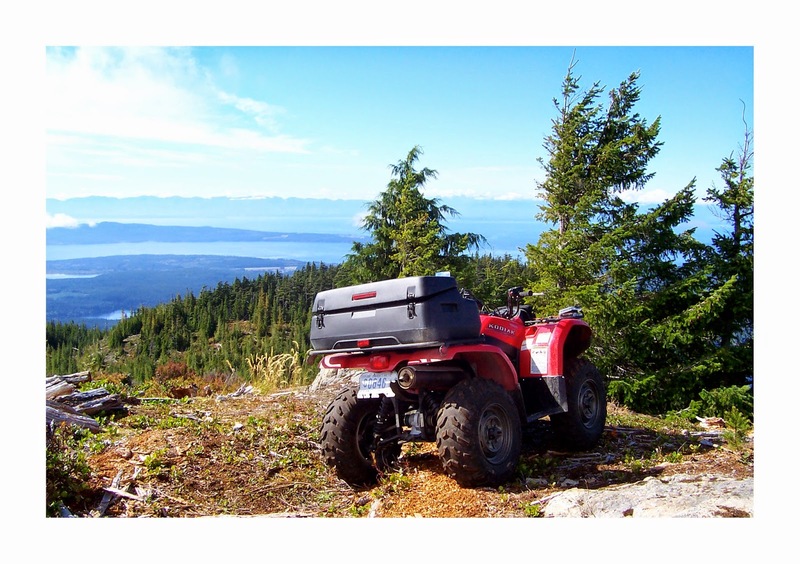 Fall weekends are a wonderful time for quad rides in the Powell River backcountry. The weather is cooler, the bugs are gone, and the roads and trails aren't as dusty. Logging may continue on weekends, so you need to be on the lookout for logging trucks that might still be working. The good news, because it's a weekend, they should be looking out for you as well. A ride to Blue Ridge is a great choice, especially this time of year. To get there, take Haslam Steet out of Cranberry to Duck Lake Forest Service Road. At the south end of Duck Lake, make a left and cross the bridge where Lang Creek tumbles on its way to Malaspina Strait. We like to park a few miles up the road at the trailhead for Mud Lake. 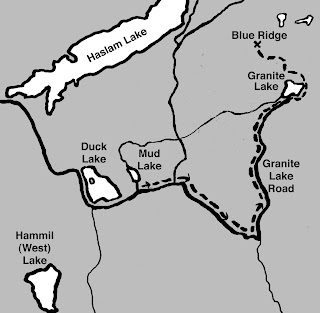 Here we offload our quads and follow the road to the Granite Lake turnoff. At this point, the road narrows substantially, and then becomes an offroad trail past Granite Lake up to the viewpoint called Blue Ridge. The last portion of the trail was built by our friend John and his quad buddies. 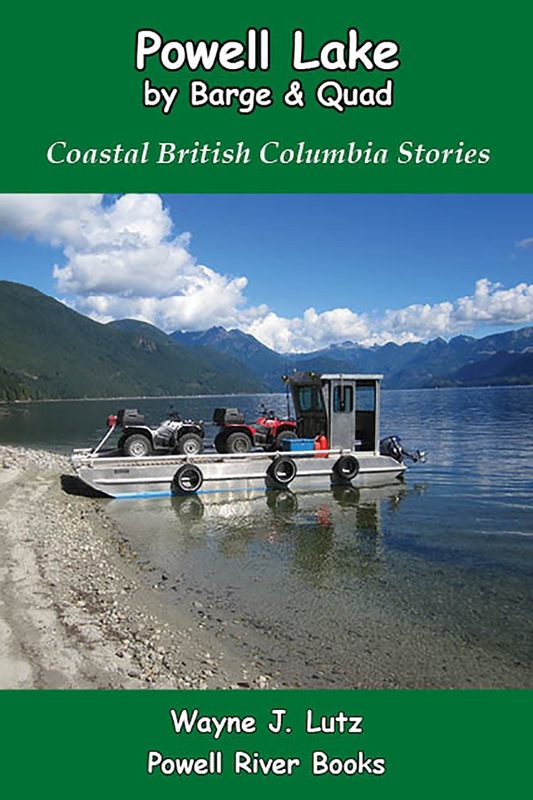 Wayne calls them the "Pruners of the Wilderness" and you can read all about their trail building expertise in the Coastal BC Stories book Up the Main. From Blue Ridge you can look down on the deep blue waters of March Lake surrounded by the vibrant green of the forest. Look to the northwest and see Haslam Lake winding its way down towards Powell River to provide them with cool, refreshing drinking water. And yes, that's John's famous dog Bro. Looking to the west you can see across the Malaspina Strait to Texada Island with Vancouver Island beyond. People talk about the beauty of places like Yosemite, and how enthralling it is to see the valley as it stretches below framed by El Capitan and Cathedral Rocks. The Powell River backcountry isn't a national park, but I think its beauty can rival any of them. What do you think?